There's no denying that ghosts are both terrifying and fascinating, but it's easy to watch shows like The Woman in Black and denounce stories of hauntings as purely fiction. After all, there's no such thing as ghosts.... or is there? Not spooky enough for you? If you think you're brave enough, we want to help you can channel your own inner Ghostbuster on your trip to London, so you can decide once and for all whether ghosts really do go bump in the night.. or whether it is just your imagination playing tricks on you. Keep reading below for handy beginners' advice from ATG Tickets featuring some well-known poltergeist hang-outs in London, and the real-life 'women/men/animals in black' you might expect to find hiding there. Evelyn Laye was a shining star of London light opera, and frequently treaded the boards of the West End during an illustrious career spanning almost a century. In fact, the actress starred in the very first production at the Piccadilly Theatre in 1928, and is said to still preside over the venue, 20 years after her death in 1996. 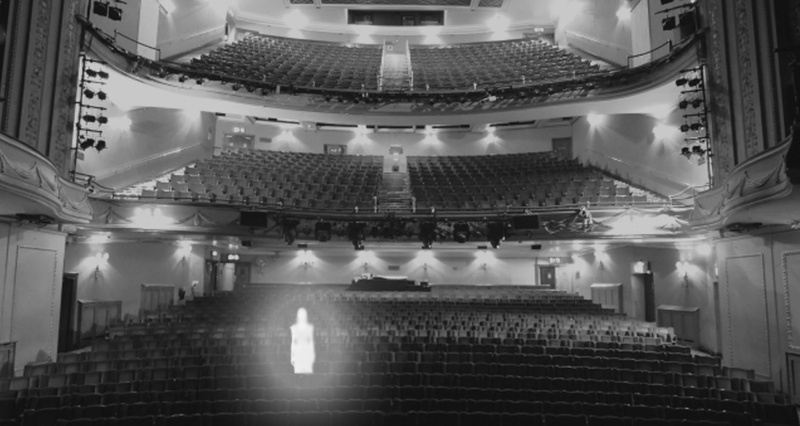 As one of the most modern theatre ghosts, she was conveniently immortalised in a photograph that hangs in the theatre offices. Rumour has it that this picture was once (and only once) removed several years ago, but now remains well and truly stuck in place. The poltergeist allegedly became especially violent during the time it was gone, and only when back in its rightful spot did things seem to quieten down again in the venue, and her presence subdue. If you're brave enough, see if you can spot her on the backstage tour of the theatre, or alternatively look out for her during Jersey Boys, currently playing on the very same stage. 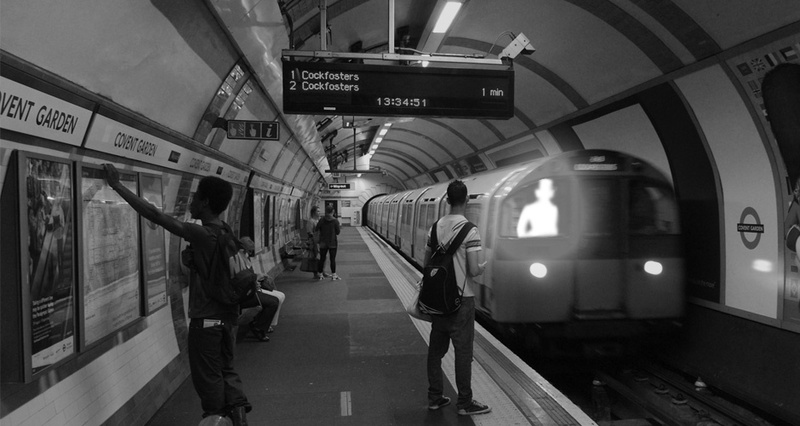 The London Underground stop at Covent Garden is notorious for striking fear in confused commuters, who simply cannot find a logical explanation for a ghostly figure wandering through the tunnels and the staffrooms, donning a top hat, frock coat and white gloves. Though first sightings were in the 1950s, travellers still spot him to this very day; though mostly in the winter months and after dark, of course. As with most spooky tales, there is a link to the theatre in this one too! The well-dressed gentleman is said to be Victorian actor William Terriss, who still visits the spot of his favourite bakers: sadly converted to become part of the station in 1907. The story goes that whilst managing the Adelphi Theatre, Terriss had a problem with one actor in particular called Richard Archer Prince. After finally firing the troublesome actor over his persistent alcoholism and unprofessional attitude, Prince enacted his revenge by stabbing the theatre-owner three times outside a private entrance into the theatre. Politician, writer, philosopher... Sir Francis Bacon really was a jack-of-all-trades. Though often confused with his namesake counterpart Francis Bacon - the British artist who existed some 300 years later - Sir Francis was a key player in the scientific revolution of the 17th century, and some may say he even died for this cause. You may not know about the unusual way he met his untimely end... but there's a good chance you will if you venture down to Pond Square in Highgate. Believe it or not, white goods were not available in 1626; and we have Bacon to thank for the ability to keep all that food in our freezers for as long as we like today. On a painfully cold January morning, Sir Francis decided to test out his theory about food preservation... using a chicken. After slaughtering and plucking the bird, he stuffed the carcass with snow to see if it would keep in cold temperatures. Little did he know that this experiment in Pond Square would be his last, as he ironically caught somewhat of a chill, and swiftly died of pneumonia shortly after. 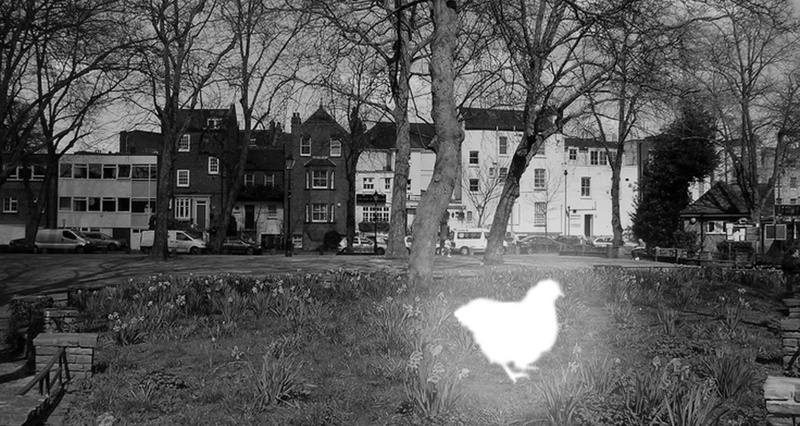 Legend has it that the spirit of the chicken lives on in Highgate. As crazy as it sounds, a ghostly sort of poultry has been spotted racing round the square and vanishing into thin air, terrifying pedestrians with its skin-crawling shrieks. Hampton Court Palace, former home of the Royal Family and excessively lavish gift for King Henry VIII, is now the residence for not one, but three famous ghosts! This trio of ghouls all have a long history of frightening individuals strolling in the grounds, and are frankly each spine-tingling in their own right. "Divorced, beheaded, died"... If there is one thing you know about Henry VIII, it's his questionable marriage history. As the fifth wife of the monarch, and one sadly executed, is it much of a surprise then that Catherine Howard still haunts the place? The former queen's spirit has the nickname 'The Screaming Lady', as she is regularly seen and heard being dragged through the hallways resisting arrest, just as she did when accused of treason in 1542. Next, there's lifelong servant to Tudor monarchs Dame Sybil Penn, who was apparently very disturbed when her tomb was moved in the rebuilding of the church in nearby Hampton. 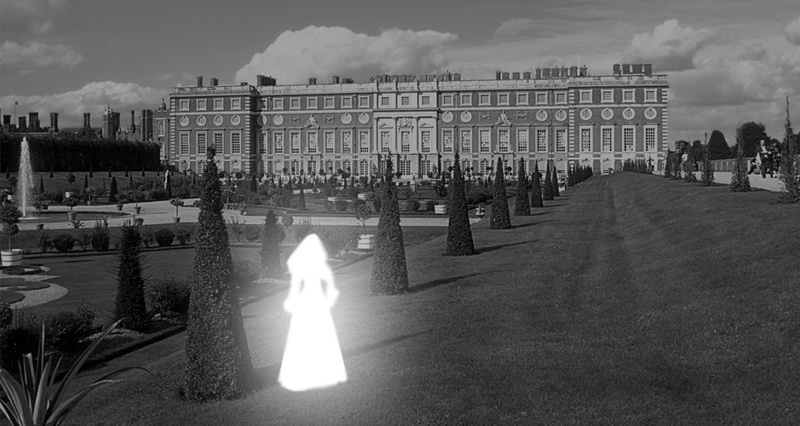 As a result, 'The Grey Lady' is another ghost to keep your eyes peeled for in different parts of the palace. Perhaps the most convincing however is the ghost named 'Skeletor', who was discovered only in 2003 after security noticed the same fire door to be open three days in a row. Nothing too spooky about that, until they checked CCTV footage and spotted the open doors clearly being closed in the middle of the night by a ghostly-looking figure in period dress. Videos of gate-keeper 'Skeletor' can still be found online if you want to decide for yourself. Click here to find tickets for 'The Woman In Black' at the Fortune Theatre.